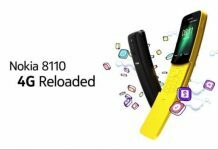 The Finnish manufacturer HMD Global has already integrated some features of the brand “Nokia” in its new Android smartphones, which were very popular with earlier Lumia models from Nokia.Now, apparently, the “Glance Screen” is significantly expanded, as a resourceful fan has found out. The “Glance Screen” was once one of the most innovative features of Lumia smartphones with Windows Phone, which has now been imitated by various other providers and now even integrated directly into Android. 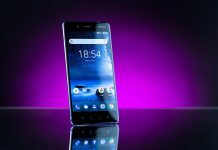 HMD is now focusing on its “legacy” and apparently has begun to expand the capabilities of the Glance Screen even further so that it is getting closer to what we know from Windows Phone or Windows 10 Mobile. 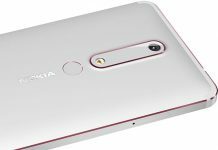 In the XDA Developers Forum, the user cri347 now reports that he has encountered some somewhat hidden settings that affect the Glance Screen in the Android 8.1 Beta for the Nokia 8 from HMD Global. If you activate the necessary debugging and testing options, the advanced setting options appear. Although appropriate menus are available, allegedly they are only functional to a limited extent. The advanced features for the Glance Screen include the ability to significantly expand the list of apps that can display on-screen notifications in standby mode. Only a few apps are still supported, but apparently, the functionality will soon be extended to various other applications. The customer may have been able to show their content above all on the Glance screen, including Line, WeChat, Snapchat, and WhatsApp. Another new option is that upcoming appointments and calendar entries land on the Glance Screen so that you can quickly find out what’s next. In addition, the customer can now change the style of the clock to be displayed and optionally also display an analog clock. The number of apps that can display notification numbers can also be changed. 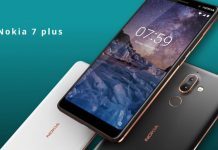 The advanced settings for the Glance Screen also allow for a determination of the luminosity.HMD also equips with Android 8.1 probably some more features that are found on other Android smartphones for some time. So the user can have the color representation made stronger if desired. Also new is apparently the ability to operate the Android operating system with navigation gestures on the fingerprint reader. 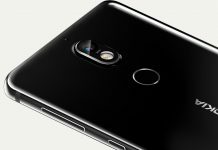 If desired, you can have the Android buttons at the bottom of the screen disabled and get in return the option to perform certain gestures on the fingerprint reader. 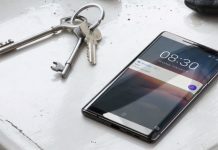 In addition, there is an option with which the change between the front and the rear camera of the smartphone can be realized by a rotary movement of the device. 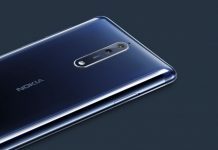 It is still unclear whether HMD Global will actually bring the innovations shown here in real time in conjunction with Android 8.1 on the Nokia 8 and other devices from its production. 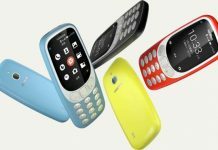 It would also be conceivable, according to cri347, that it is a remnant of the Android base used as the basis for HMD’s customizations.